Located on US 41, the marker references action that took place almost, not quite, a mile ( a MILE!) west of the reader… on the other side of Camp Creek AND on the other side of I-75. At that time in the 1990s, the location referenced was simply inaccessible to all but the most persistent visitor – willing to wait for one of the rare on-site activities or coordinate with a landowner for access. We like to hear those sort of success stories. Preservation coming to full maturity, where visitors are able to walk the field, appreciate the primary resource that the terrain is, and thus gain better understanding of the events. With the success (and hopeful of the tentative July grand opening) at Resaca, let me turn your attention to a location here in Virginia that I’ve written about often – the battlefields and sites of Culpeper County. Starting in the 1990s, tracks of land around Brandy Station were purchased by preservation organizations. Likewise, the Friends of Cedar Mountain, and others, have brought substantial tracts of that battlefield into the “preserved” category. Counting those two battlefields and Kelly’s Ford, the Civil War Trust tallies over 3000 acres preserved in Culpeper County. Though much of that acreage is in preservation easement, a sizable amount is owned by the Trust or other preservation organizations. And beyond those three, there are a substantial number of sites where activity occurred during the war – minor battles, skirmishes, troop movements, and… yes, I mentioned it the other day… encampments. However, there is no central point of orientation in Culpeper County for visitors. Furthermore, the preservation organizations which currently hold title to some of those lands are charged with the maintenance and upkeep – a detraction from other preservation efforts. But the biggest problem I see is the lack of a “center of mass” which the local community views as “the battlefield” … and from which better recognition of the historical resource would emanate. It is no big secret that many of us have advocated for a proper battlefield park to cover Brandy Station. The acquisition of Fleetwood Hill in 2013 served to bring those ideas to a center of mass. Now I hear there are efforts afoot to create a state park in Culpeper County which would encompass these Civil War sites. Such would go a long way to accomplish the goals set forward in the 1980s – made in the face of hideous development projects. This is not to say there are not “roadblocks,” but I am confident there will be a Culpeper Battlefields State Park in our future. Let’s hope so. Virginians, join me in calling upon our elected representatives to make this so! Tired of the snow and ice? Looking forward the to the 1864/2014 Sesquicentennial season? On February 6, 1864, the Army of the Potomac Second Corps crossed the Rapidan River at Morton’s Ford in an effort to distract Confederate attention from a Federal effort on the Virginia Peninsula. This action lasted for about 36 hours and marked the largest military action between the Army of the Potomac and the Army of Northern Virginia. 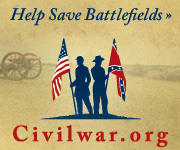 On February 8, 2014, FOCMB will host a driving tour of the Morton’s Ford Battlefield. The tour, led by noted historian Clark B. “Bud” Hall, will travel to both sides of the ford and into entrenchments in Orange County. This event will take place rain or shine. This one day symposium will focus on the Army of the Potomac’s Winter Encampment. Scheduled to speak: Clark B “Bud” Hall, Angela Atkinson, Greg Mertz, Dr. Chris Stowe, Dr. Jim Davis, Eric Wittenberg. Symposium topics include: A Winter Encampment Overview, Intelligence during the Winter Encampment, the Overland Campaign Overview, The Relationship Between the Staffs of U.S. Grant and George Gordon Meade, Music During the Winter Encampment and The Kilpatrick-Dahlgren Raid. FCMB will participate in the Civil War Trust’s Park Day 2014. On that day, FCMB members, friends, supporters and persons interested in Civil War preservation will gather at the site of Culpeper’s historic Cedar Mountain battle, where Route 15 meets General Winder Lane just a few miles south of Culpeper. Volunteers will be welcomed and work will commence at 9 a.m. performing cleanup and facelift improvements throughout the 154 acre site. Volunteers should bring gloves and reflective vests, if they have them. The Friends of Cedar Mountain Battlefield will provide water and light snacks. Advance registration will enhance duty assignments that match each volunteer’s interest and ability. It also helps planners prepare necessary supplies and equipment. Call Dale Duvall (540)547-2373 to volunteer or send an email cdaleduvall@msn.com. The FOCM also list an “in real time” tour set for the 152nd anniversary of the battle, led by historian Greg Mertz, Supervisory Historian at Fredericksburg and Spotsylvania National Military Park, on August 9, 2014. To coincide with the 150th anniversary of the Battle of Cedar Mountain, the Civil War Trust is partnering with Friends of Cedar Mountain Battlefield on a national fundraising campaign to preserve 6 acres of hallowed ground on the storied battlefield. The Civil War Trust has committed to protecting remaining portions of historically significant battlefields, like Cedar Mountain, as a permanent and meaningful legacy of Civil War sesquicentennial commemoration. Campaign 150: Our Time, Our Legacy, one of the Trust’s most ambitious projects to date, kicked off last year, seeking to raise enough funds by 2015 to protect an additional 20,000 acres of hallowed ground. The Trust has previously worked with Friends of Cedar Mountain Battlefield to preserve 154 acres at this site. The Trust’s battle page for Cedar Mountain provides several resources for those unfamiliar with this battle, which signaled the start of the Northern Virginia (a.k.a. Second Manassas) campaign. Gary Adelman’s superb photo interpretation once again allows those black and white images to speak, fifteen decades removed from the uncovered lens. When considering preservation efforts, I’ve sometimes heard a line akin to – “Oh, but that was on the periphery of the battlefield… it isn’t that important.” Well, there are the six targeted acres as they looked during the war. Not hard to figure out how those six acres factored into the battle. In addition to this preservation effort, there are several other sesquicentennial events in Culpeper to mark the battle of Cedar Mountain from August 3-12. The stage adaptation of “Marching Through Culpeper” premiered on Friday, with shows running nightly. There are walking tours of downtown Culpeper on August 4 and 11. However the event I would most like to attend (but likely will be tied down at work) is the Cedar Mountain symposium at Germanna Community College on August 9. Historians Todd Berkoff, Clark B. “Bud” Hall, Greg Mertz, Nicholas Picerno and Jeffry Wert are speakers at this event. For more details visit www.friendsofcedarmountain.org.